30 Minutes of Hip Opening, Yin Yoga Style! This hip opening yin yoga sequence will increase your flexibility, relax your body and help you to feel calm and grounded. 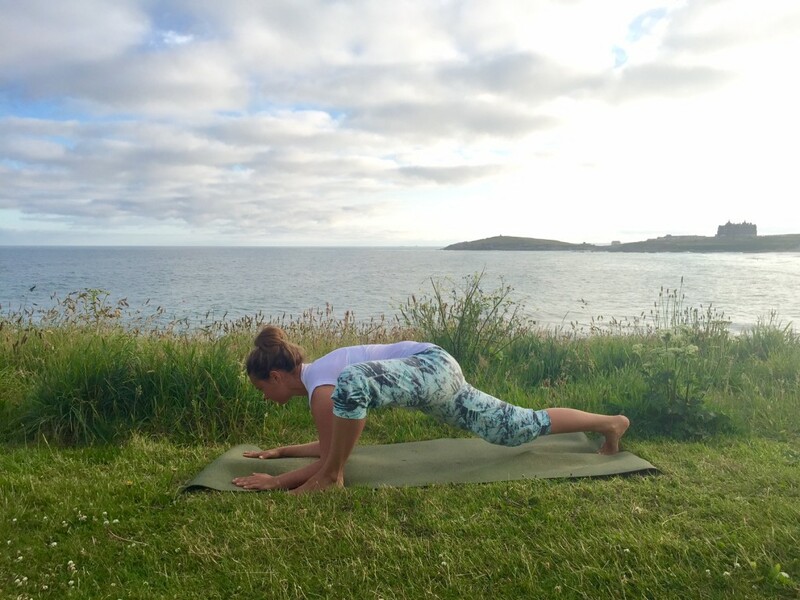 New to Yin Yoga? It is a great way to increase your flexibility as well as calming the mind and releasing stress and tension. 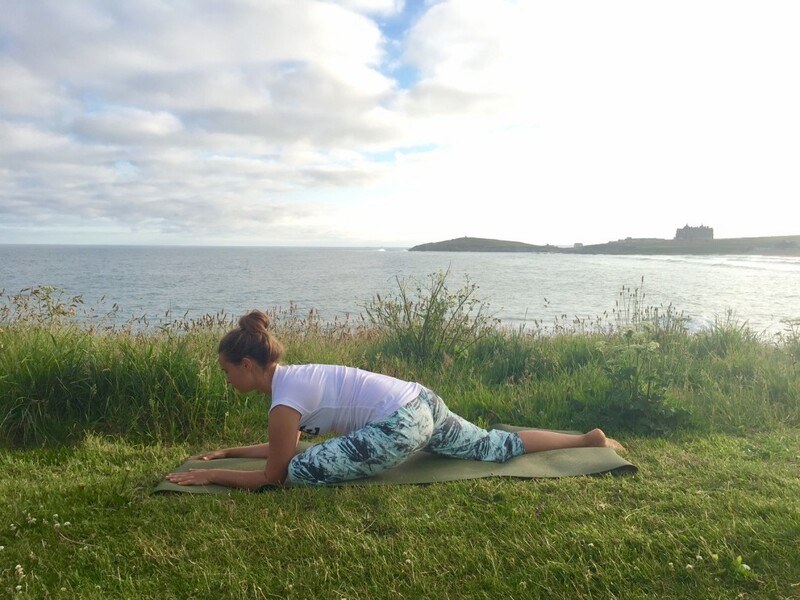 A perfect complement to more dynamic styles of yoga like Vinyasa Flow, poses are held for longer lengths of time, to allow you to go deeper, and the practice targets the deep connective tissues in the body. 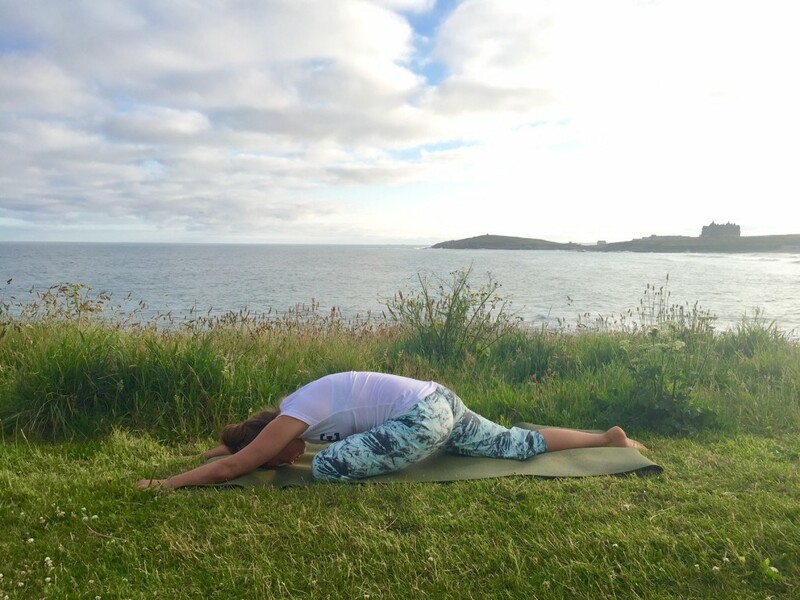 As you move through the hip opening yin yoga sequence below treat the time spent in each pose like you would a meditation, breathe deeply, stay present and relax in to the pose as much as you can. Your mind will want to wander just keep bringing it back to your breath. This hip opening yin yoga sequence takes just 30 minutes and is a lovely way to wind down in the evening. You will want to use a timer but if you are using your phone make sure you switch it to airplane mode so you aren’t distracted! It’s really lovely to follow this sequence with a seated meditation. Try my 8 minute guided meditation to relax and refresh you even more. Begin sitting cross legged with your right shin in front of your left. If you find it difficult to sit like this sit up on to a blanket, cushion or block to raise your hips a little. Begin to walk your hands out in front of you folding forward over your legs. Keep your shoulders relaxed and your spine long. If you are very open here you may be able to take your forehead all the way to the floor in front of you. Cross your left shin in front of your right and repeat on your second side, holding for another 3 minutes. Come on to hands and knees, tabletop pose. Step your left foot to the outside of your left hand and turn your toes out 45 degrees. Begin to bend your elbows and if you can lower to your forearms with your elbows under your shoulders. To intensify the pose tuck your back toes and lift your back knee. 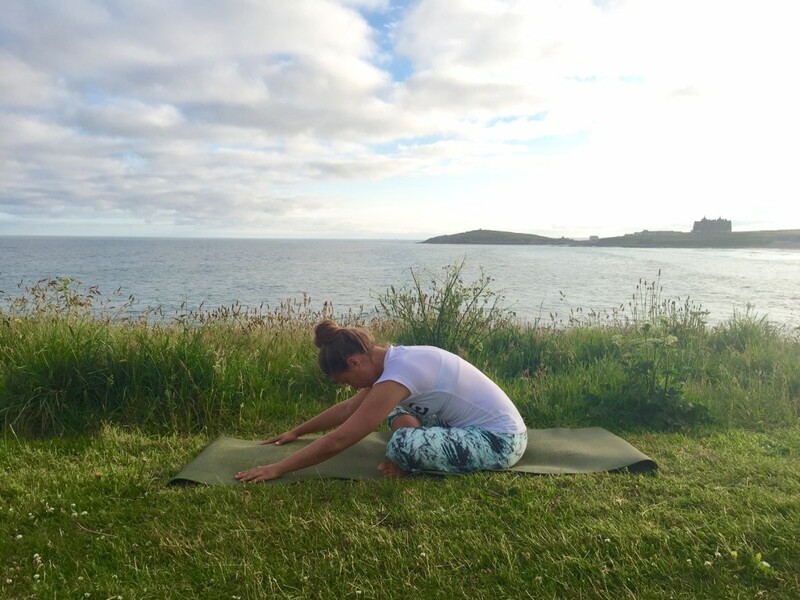 From Dragon pose, straighten your arms so your hands are under your shoulders, step your left shin down on to the mat so your left knee is just behind your left wrist. Lower back to your forearms, elbows under shoulders. If this feels intense enough for you stay here, otherwise begin to walk your hands out in front of you straightening your arms and dropping your chest and forehead to the mat. Return to hands and knees then repeat Dragon & Sleeping Swan on the right side. 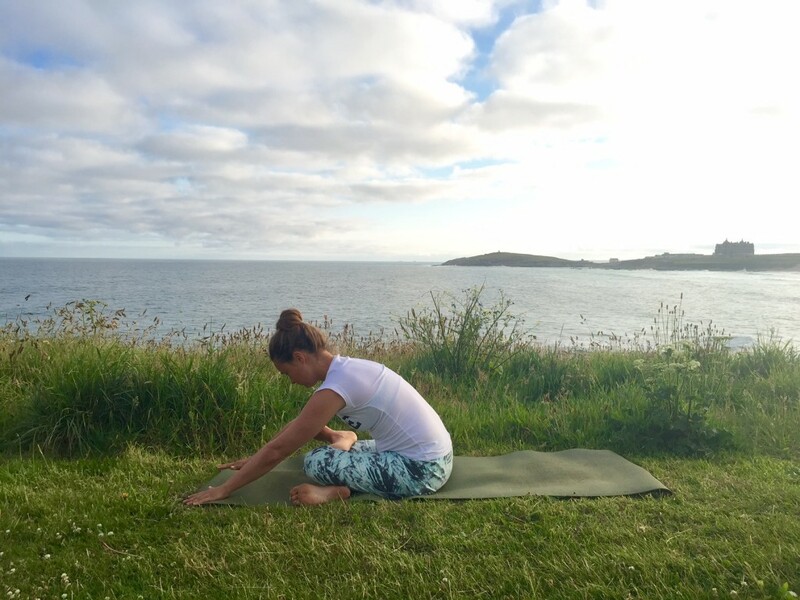 Come back to sit cross legged with your left shin in front of your right, walk your feet away from you and out towards the sides of your mat so you are in a square cross legs. Flex your feet. Don’t worry if this feels a little awkward. To go deeper in to the pose place your left shin all the way on top of your right so your lower legs are stacked directly on top of each other. This is difficult for many people so don’t worry if it’s not accessible for you today – stick with the square cross legs. Walk your hands out in front of your folding forward with a long spine and relaxed shoulders. Hold for 5 minutes. Swap sides and repeat with right shin in front/on top of left. Finish with 3 minutes in Savasana (lying down on your back). This is also a great time to sit in meditation. Everyone needs more yin yoga in their week! Share this sequence with your friends now and help them to fee ultra relaxed too! Brilliant Hannah I hope you enjoy it! Try to think about directing your breath in to any areas where you are feeling strong sensations and visualise that you can let it go and relax with every exhale. And I definitely recommend a little seated meditation afterwards to feel even more awesome!